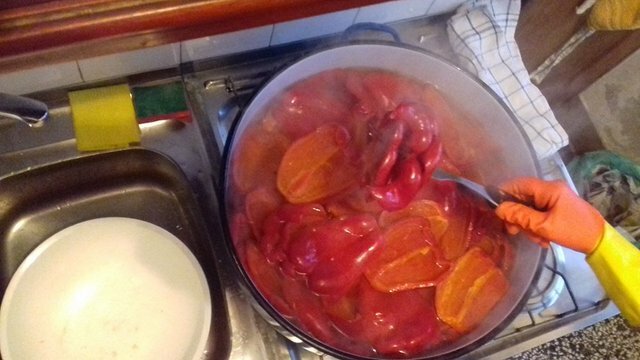 Sooo let's see..for starters you need a lot of peppers and eggplant (we took about 15kg of peppers and 5kg of eggplant for one round). 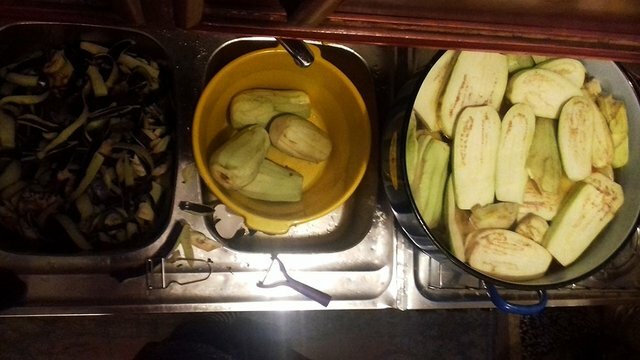 And then you have to manually clean all of that. 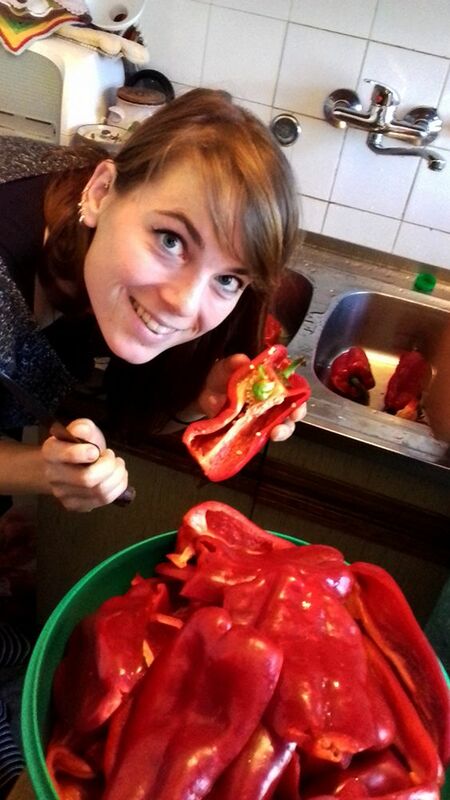 Here we have our lovely Diana in the middle of the battle with rog paprika. 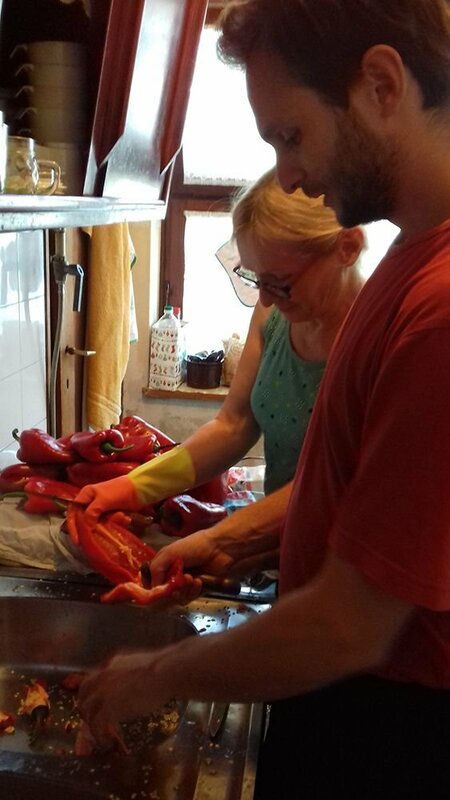 And of course, my mother is leading the work here as the expert on ajvar, with me helping too on the side. 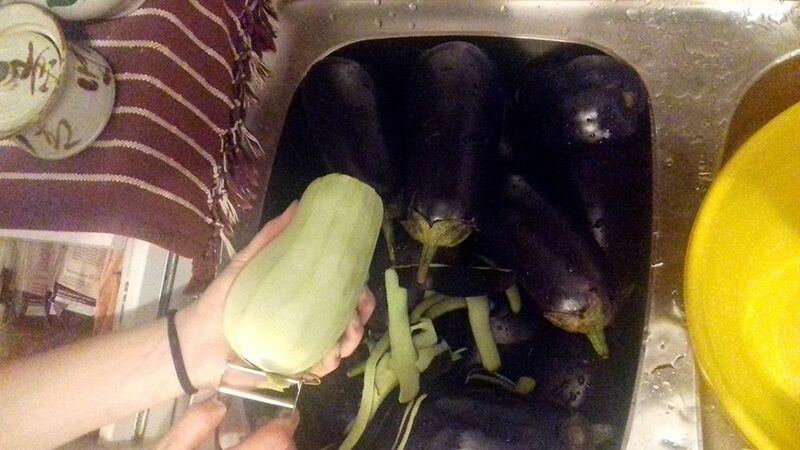 So now we repeat the same procedure with eggplant. Here's one of our master grinders. :P You can see the Christian iconography in the background which is quite common in these areas. Those are my father's relics, he is a regular churchgoer. 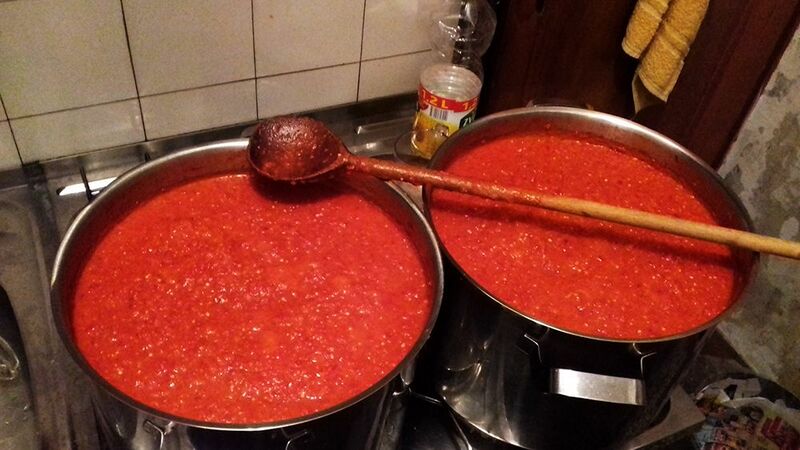 So, as we grind, we're slowly filling up this huge pot. Right up until it looks something like this. 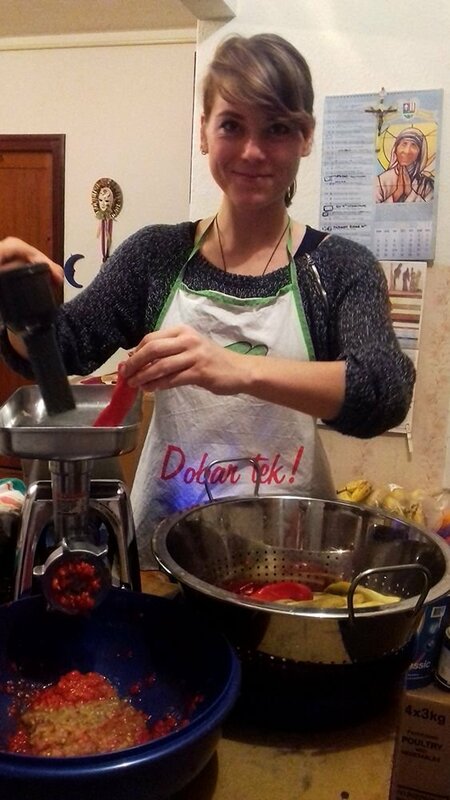 At that moment we have to stir everything inside so that the ingredients mix evenly, and for the sake of cooking it better, we transferred it to two smaller pots. Also, you have to add a few deciliters of oil, not too much, or it will be too greasy. 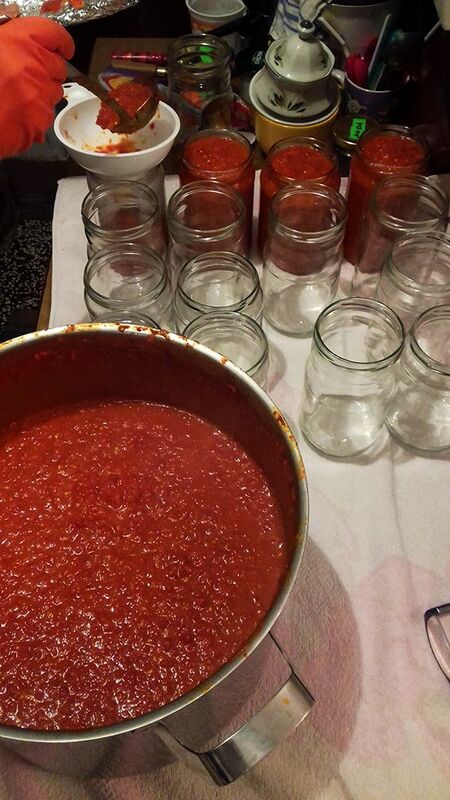 In the meantime, we have to preheat the glass jars to disinfect them, and prepare them for hot ajvar. 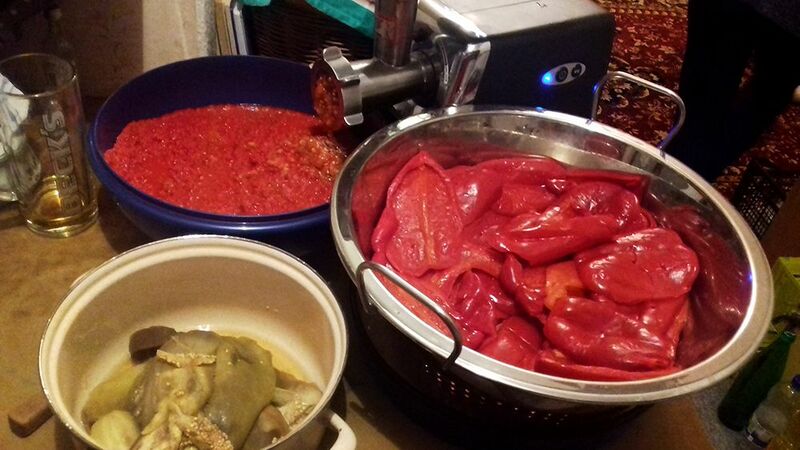 Aaaand then we get to the magic part of pouring the ajvar in the jars. 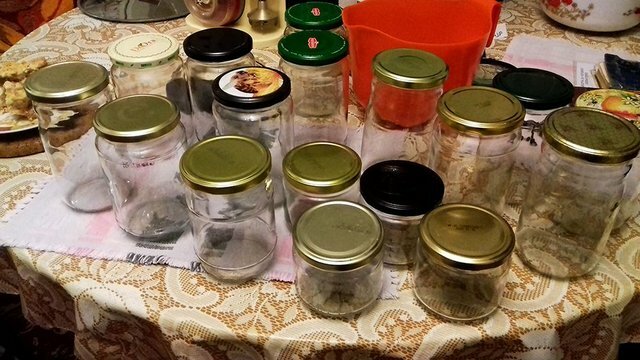 With, of course, disinfected and prepared jar covers. Until all of them are full, then we get them upside down for the sake of pasteurization. 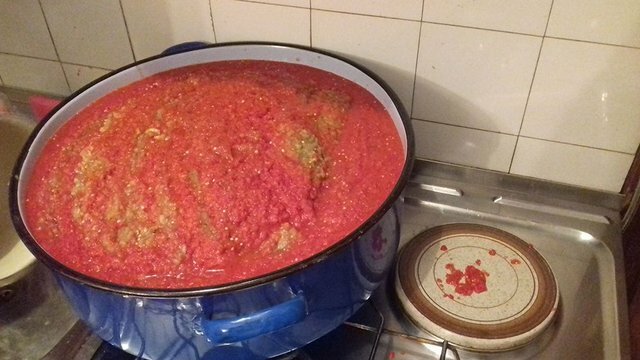 And voila, the ajvar just needs to cool down slowly, and after that it goes to špajza (pantry), and it is best consumed cold. 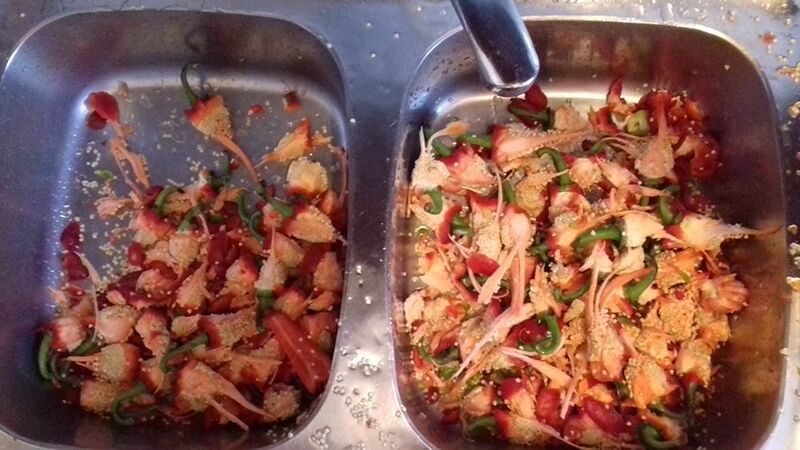 If you ever decide to try and make this legendary balkan dish, feel free to ask for any details about it! 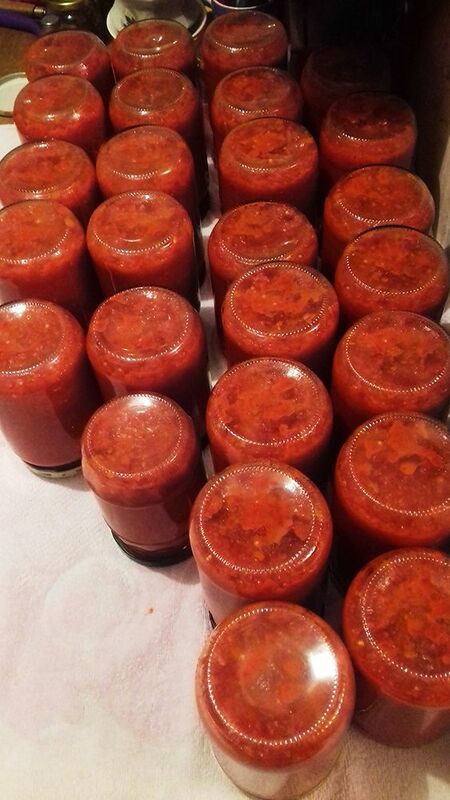 Mi ne možemo preživjeti zimu bez pinđura :) Puno mi je bolji od ajvara, pravi ga Makova mama. 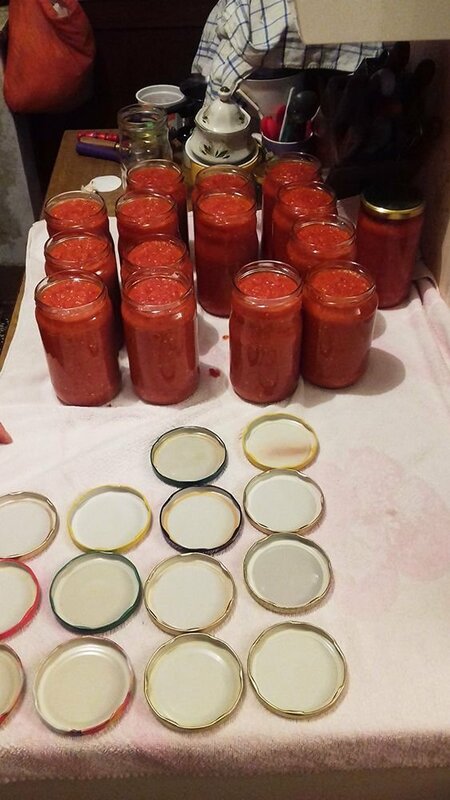 Ovu jesen moram sudjelovati da ga naučim praviti po njenom receptu!! 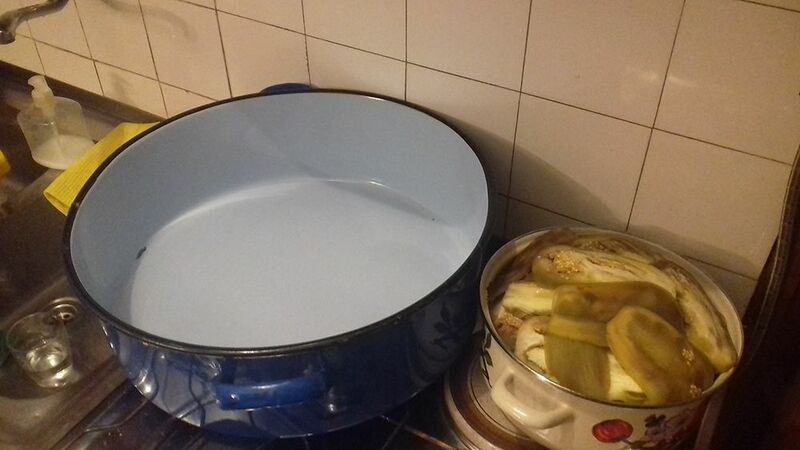 Moja mama je iz Zagorja tako da sam odrasla na prefinom ajvaru, al ovaj pinđur Makove majke mi je još bolji.... Može, bit će i za vas za probu!